Anywho! We were picked up at XBase Backpackers along with a few others also out on tours that day. The check in process was the same as before, we completed a quick form on iPads to check in before receiving our ticket for a stinger suit and our boat tickets. After a quick toastie at the cafe near by, our boat name was called and we were off down the jetty just before our crew this time were Brad and Tom. What I noticed about the crew was their love and passion for their job, the Whitsundays and protecting the marine life, this is clearly a quality Ocean Rafting look for in their staff. On the way to our first stop, the crew were fantastic at pointing out various points of interest along the way and provided lots of information on the islands. Our first stop was a ‘secret snorkel spot’ which wasn’t so secret when the other Ocean Rafting boat pulled in. This island has been nicknamed Goat Island as a point of reference, as there is usually sittings of goats along the rocks. As luck would have it, we spotted them. Armed with my new Go-Pro and a life jacket, I jumped in to explore. Some of the coral was damaged and the water was a little murky but I still some a lot of funky fish and some beautifully coloured coral. When everyone returned to the boat, we were off to Hill Inlet Lookout. 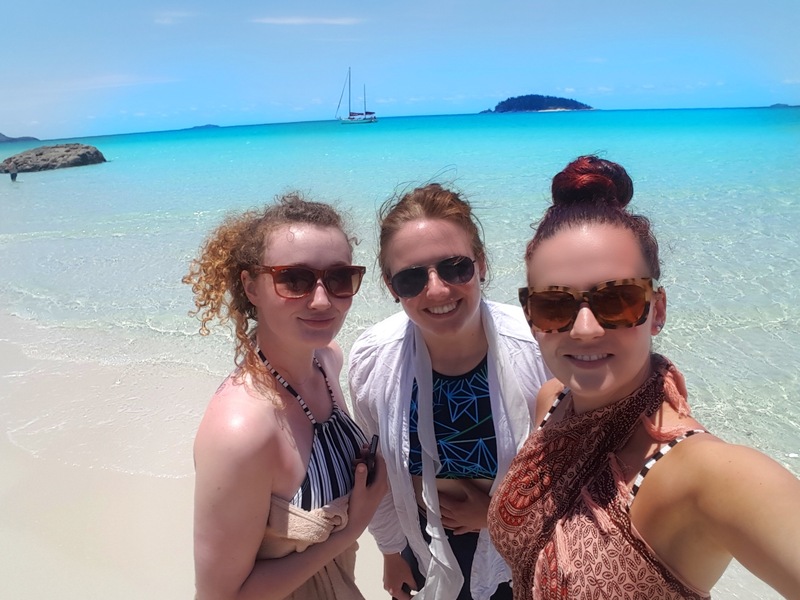 We arrived from the northern end of Whitehaven Beach and the beautiful lagoon we had lunch in on the last tour was all dried up, maybe it has to do with the time of the year. We walked up to the lookout for some of those famous snaps and back down the hill to our waiting boat. We moved around to the south side of the island which was is the long stretch of beach Pirates of the Caribbean was filmed in a few months previously. 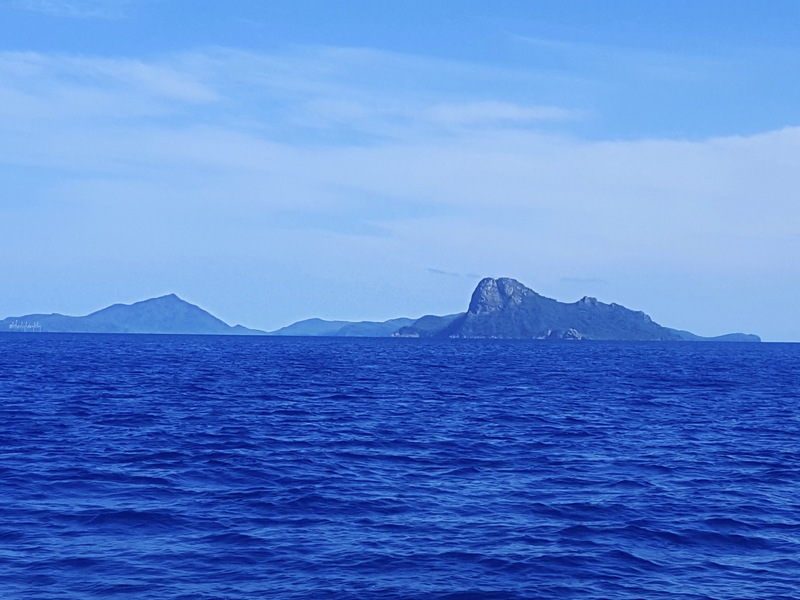 This is the part of the island that helicopters land for lunch for those of you lucky enough to experience Whitehaven Beach that way. We docked and had a few minutes to relax on the beach until lunch was served in a cluster of coconut trees that provided some shade. Lunch was the same as our last trip, a large choice of buffet items to choose from followed by lamingtons for dessert. We were able to stay on the beach until 2.45pm when we departed Whitehaven Beach and returned to Airlie Beach. 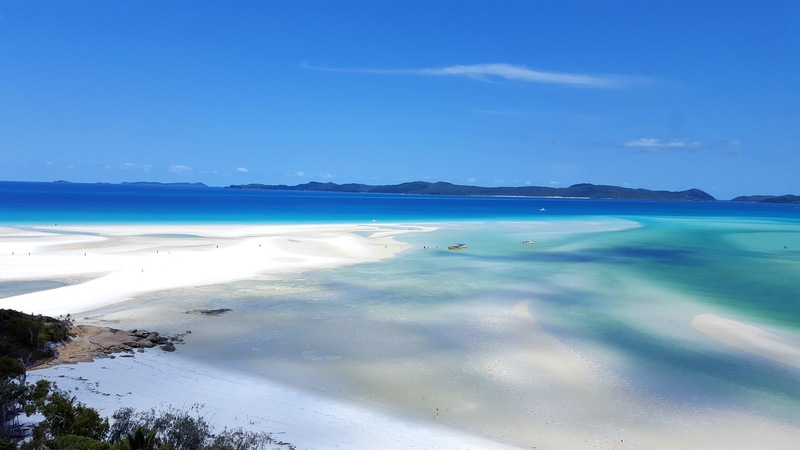 *Tip: This tour is a great tour for those who would prefer more time relaxing on Whitehaven Beach. Overall the trip was fantastic! 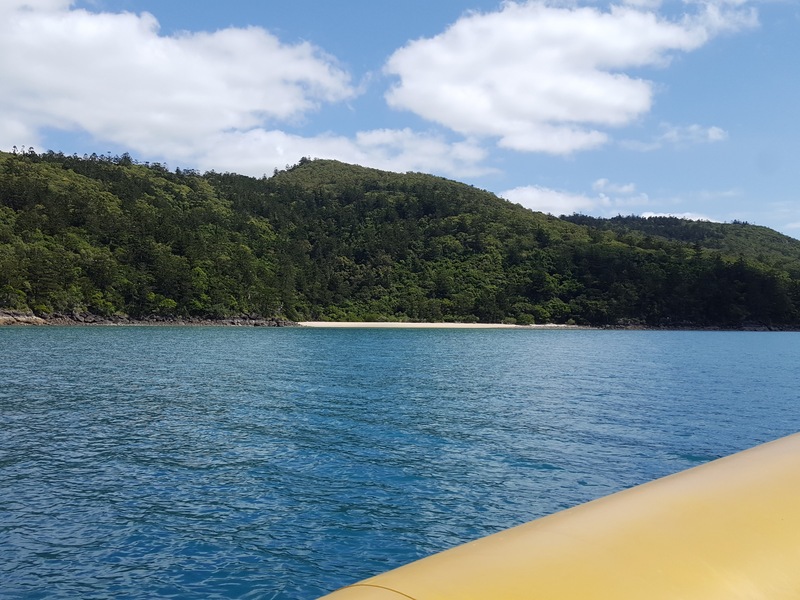 The guys were an excellent crew but if I had to choose a favourite, it would be the North Island Tour and I missed the adrenaline buzz Claudia gave us manoovering the boat like she did. Oh my, this looks so beautiful! I have always wanted to visit the WhitSundays! Looks like you had an AMAZING trip! The water looks AMAZING! OMG the view is absolutely stunning! I’ve always wanted to go to the Whitsundays! Omg this is my dream location, looks amazing. Wow! These pictures are breathtaking! The Whitsundays are sooo gorgeous! Such a beautiful holiday destination. It looks so incredible!! 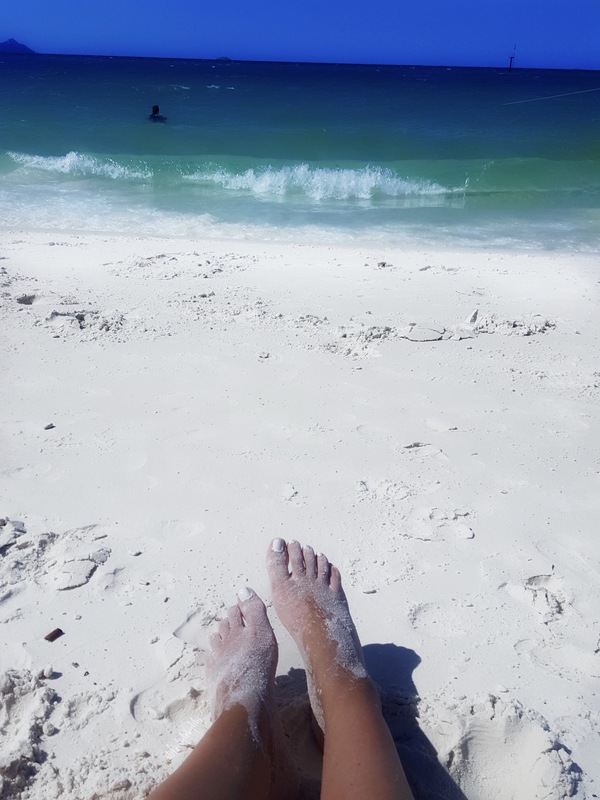 That white sand is something else! !